Fig. 3. 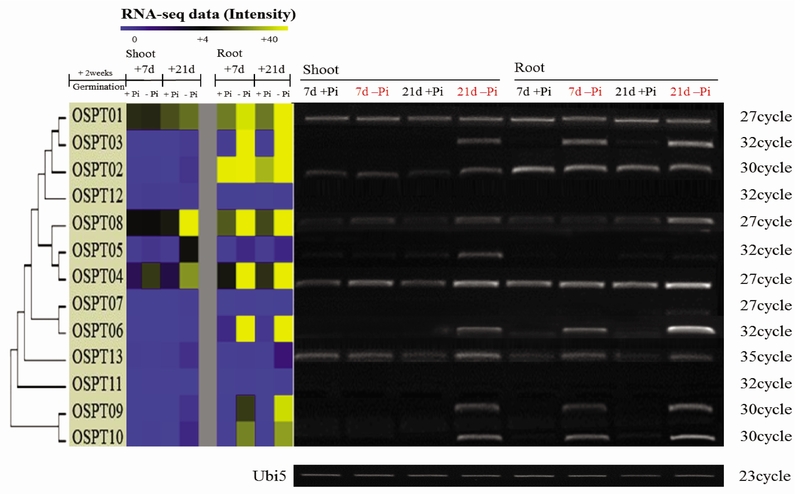 Verification of expression in high affinity phosphate transporter families under phosphate starvation using reverse transcriptase-polymerase chain reaction.